NOW TRACE YOUR LOST MOBILE EASILY..
No worries whether you own a black & white mobile or a colour, now you can easily trace your GSM/CDMA lost mobile. Yes! You’ve to just purcahse a “Mobi Tracer Card” from http://kalyanmobilesecurity.com and you have to register there and you are done with the entire procedure. Now when your mobile is lost you’ve to send an SMS to Kalyan Mobile Security’s server and they will get back to with the mobile number that is currently in use on your lost handset. 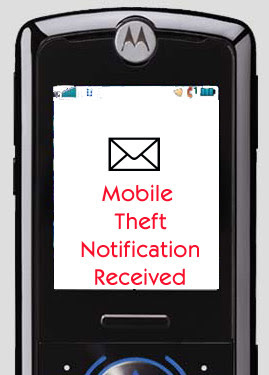 Update: If you have lost your mobile, then have a look on this post. GREAT TWEAK FOR AIRTEL HELLOTUNE USERS..
MAKE FREE OUTGOING CALLs FROM YOUR MOBILE. Did you already register with any mobile tracing company?? Lodge an FIR in nearest police station and get your duplicate sim from mobile company.. If you would have used up any tracer card before it was lost, then there was possibility to recover it..
hello sir, i had lost my reliance sim. No of sim is 9326117892. Can you trace this sim ? If yes then please find it. If no what can i do? I want it back at any price. And i had also lost a sony ericsson w200i mobile phone with it. It’s imei no is 35544101-499416-1. Both are missing from 26 jan 2009. please help me to get both. If you get it both then contact me via email. Dude now to get back your sim, the only thing you can do is lodge an FIR in the nearest police station, and submit the copy of FIR to your operator. hi Deepak my self Prince. I Lost My mobile 3 days ago untill now when i try to call on the number it is telling “the number is switch off.” But now it is saying that “out of coverage area”. I want to confirm some thing from u about “Kalyan mobile Security’s Mobile tracer card”. On saturday when i lost my cell i have spoke with the technical head of the company. He says that i can trace the mobile even if it is get lost before purchasing the card. but they did not give the surity to get trace it . they say that the time limit is not sure. but to get the awarness among people this kind of service is good. but i want to ask u as technical point is it possible to trace is from the mobile tracer card. plz reply me fast i m in need of ur repky to go for that card. One will have to use that card prior to the theft of the mobile..
Dear Prince, if the person stolen your mobile has not yet changed your IMED no. of your mobile ( IMEI no. can be changed by technicians ), it can be easily traced by police ( if it is in use with other sim card of any operator in india ). But if IMEI has been changed ( 99.9% chances are there that it has been changed ), no one can trace your mobile. Kalyan Security card works in this way. But you can also take help of local police. Even if you get the mobile number using your phone’s IMEI, address search is also a difficult one as most of the new connection use fake / wrong / incomplete documents. Its sad to know that you lost your mobile phone..
i have lost my mobile phone so plz help me out. i lost my nokia 6630, IMEI no. 354350005828240, plz help me tracing it. I don’t feel I can help you much if you haven’t used any mobile tracking tools in your mobile before it was lost. By the way, you can get your same number back by contacting your service provider. I had lost my cell phone today. I just want to confirm from you that I had given FIR and IMEI in PS. Can the PS people find my cell phone.Is it possible that I can find my cell phone with IMEI? ?Hope you know the best answer. Sorry,I hasn’t purchased your tracker card as its too late now.As I had lost my cell phone. Please do the needful to findout my Cell. Sub: – Loss of Mobile. That while I was traveling by train no 2108 at about 02 30 pm. on 29th May, 2009 beetween bhopal to itarsi at the same time I found that my mobile has been lost in the train. I, therefore request you trace my mobile location as early as possible & kindly reply me on my email add ** ameen.zain@gmail.com ** or ameen.shaikh@sify.com or my mobile no 09422024011.. that i can get my mobile. please, trackout send to mail. can i Trace the location where the phone is used. hii,this is rajani here.i lost my mobile just two days back,its virgin basic model and even if i cant get that mobile,can i recieve calls of that number to my another number,plz do reply,its very urgent for me. Sorry, you cannot get back your lost mobile now..
i get the location, coz anybody using that mobile……. Ab tak kisna mobile mila? Police wale kushbhie nahi karega FIR karne ka kya Faiyda. my handset stolen form kolkata railway station. This post describes about what to do after loosing your mobile handset.. I lost my Blackberry 8700 handset yesterday in Mumbai. Request help in locating the same. IMEI no. is 357890007760930. This is Deepak Sethi working for JSW Vijaynagar steel pvt ltd, I would like to inform you that I have lost my Mobile phone somewhere near to my HSM-2 Site. Now i would like to request you to please help me to trace my cell phone. Sir on 25th of August 2009, somewhere on the way to restauarant I lost my mobile phone. It was on silient mode and was ringing till 6PM. After that it was switched off. I tried to find it at my own but i was not able to trace it. I had saved all my important numbers in that and above all I had some very rememberable pictures of my family saved in that, those are very precious to me. I think if you could help me I can have my phone back. Kindly do the needful. please find below the details for my moblile phone no. As updated on the post, have a look on this article wherein I have mentioned what to do after loosing your mobile handset!